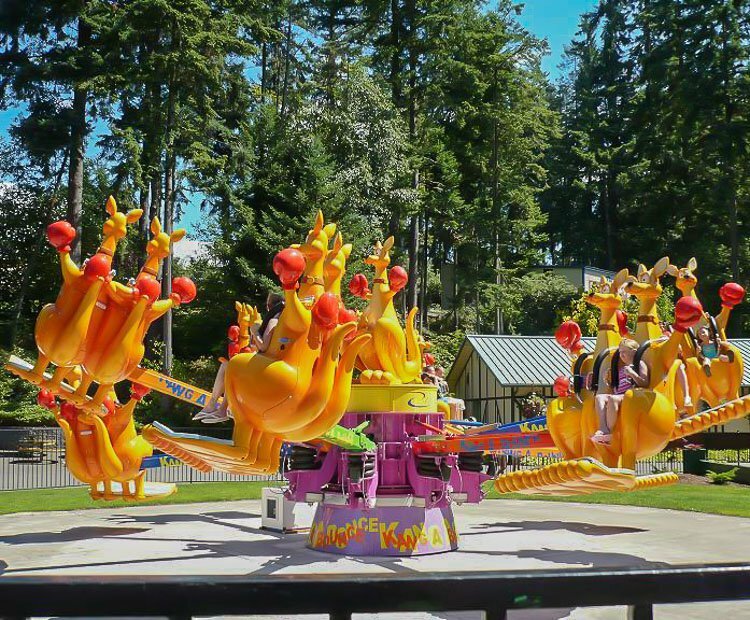 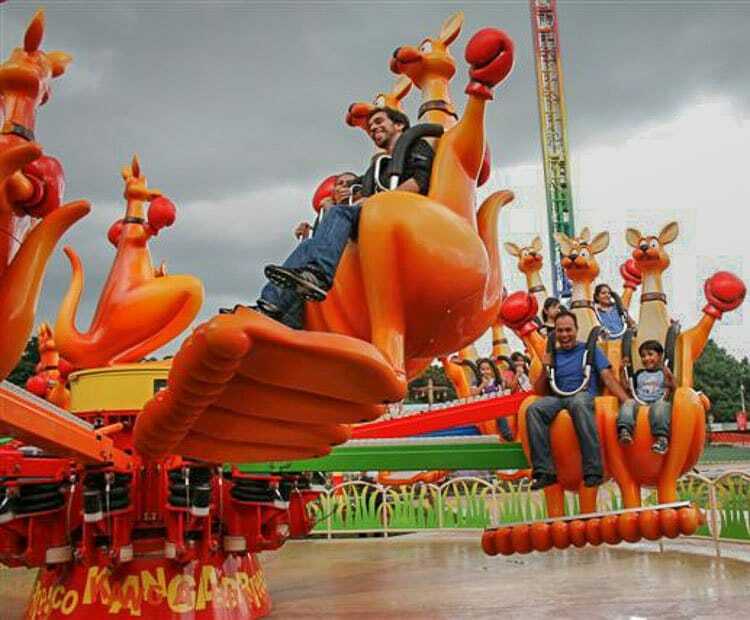 Zamperla’s newest family and tweener ride, the “KANG’A’BOUNCE – It’s a blast of family fun!”, packs a powerful punch of fun as it takes riders on a “land down under” bouncing adventure. 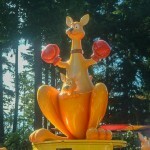 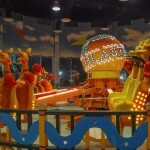 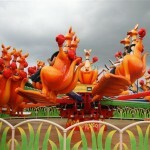 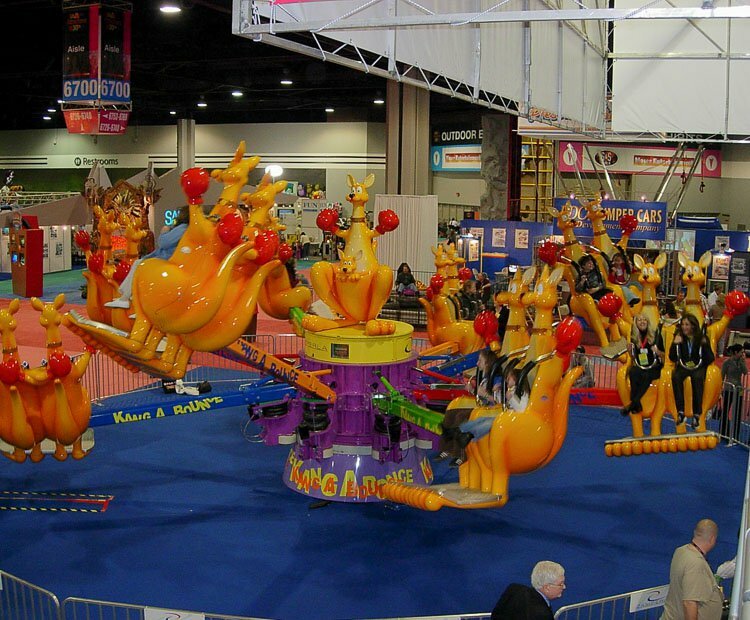 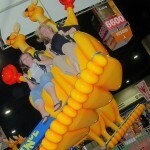 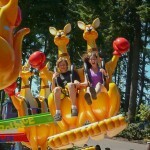 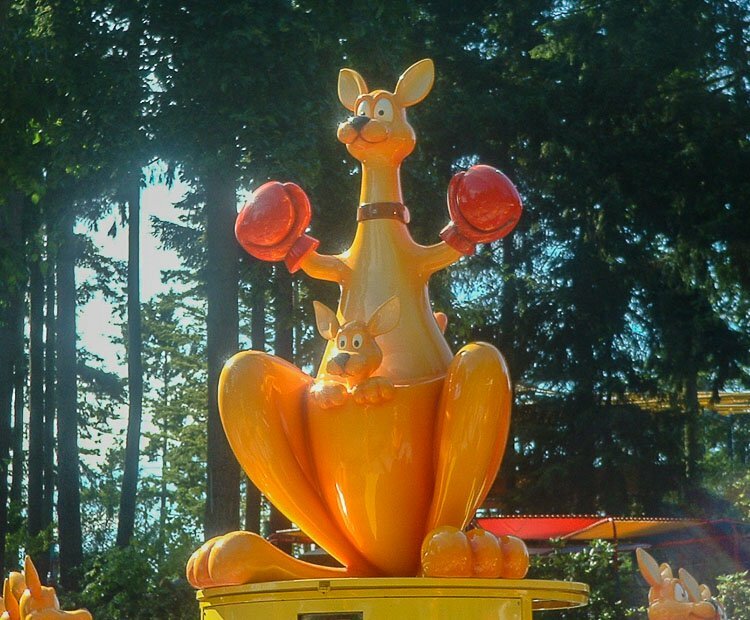 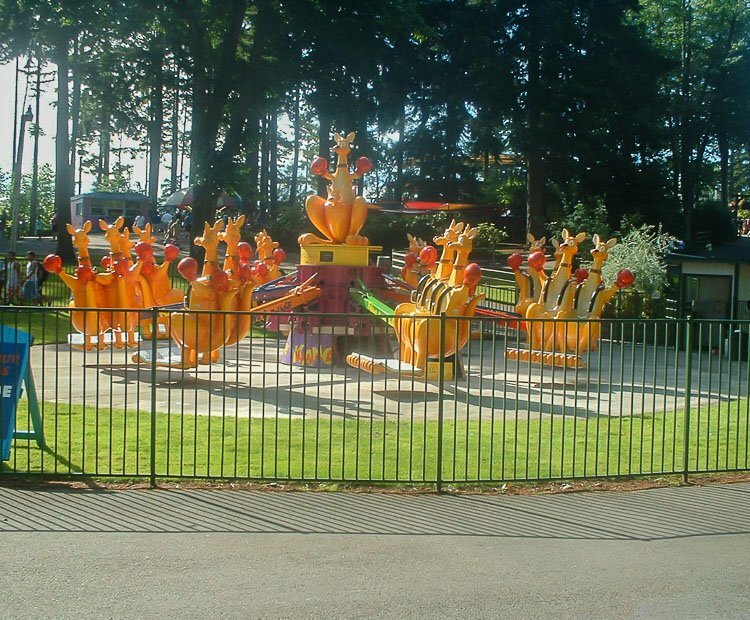 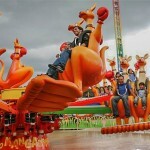 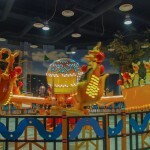 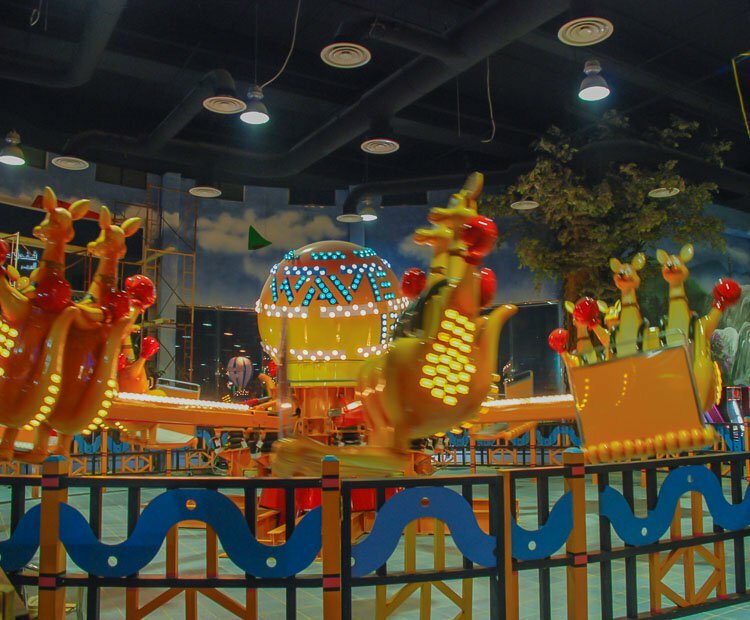 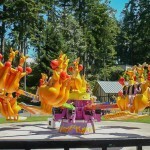 Riders sit side by side in kangaroo themed seats and are treated to a ride full of bounces and surprises. 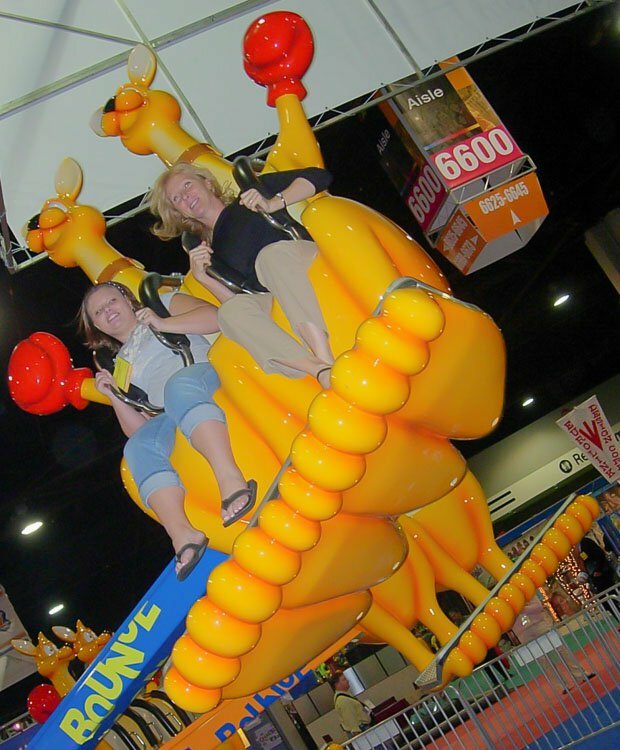 The KANG’A’BOUNCE comes in both and 8 arm 16 passengers and 12 arm 24 passenger versions and features the industry standard over the-shoulder safety restraints. 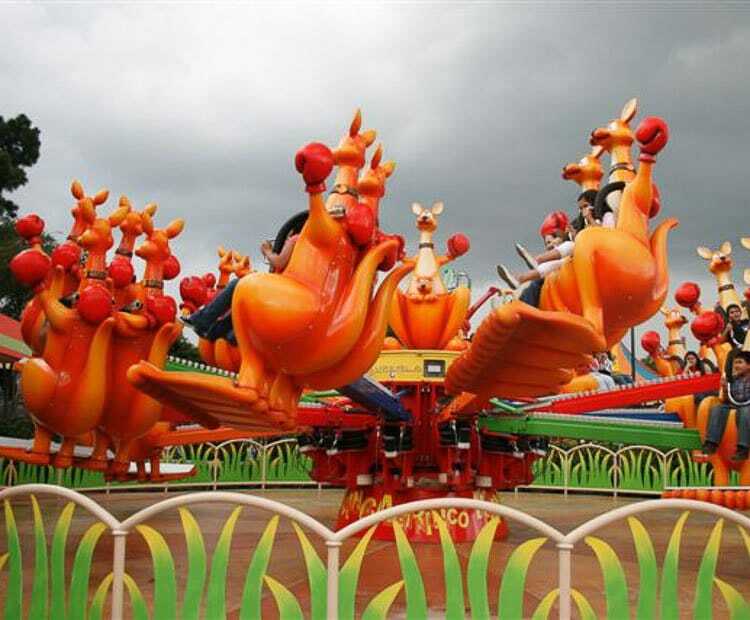 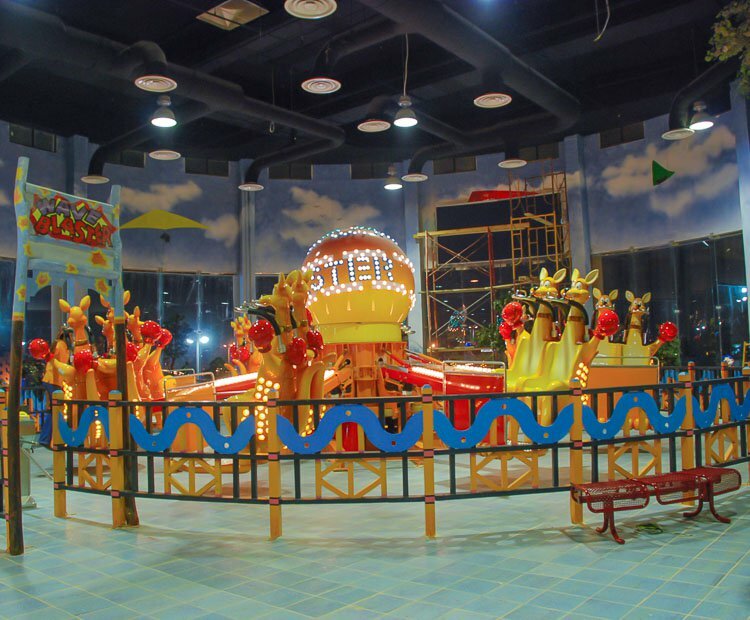 Zamperla’s design team set out to develop a new generation family flat ride building on the popular jumper ride idea which would use time tested technology for a budget and maintenance friendly ride. 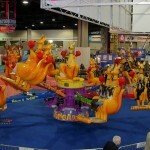 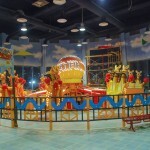 The result is a compact circular ride with eye catching themeing to help you maximize your presence on the midway. 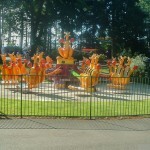 Advanced noise reduction technology makes this soon to be outdoor favourite a great option for indoor venues. 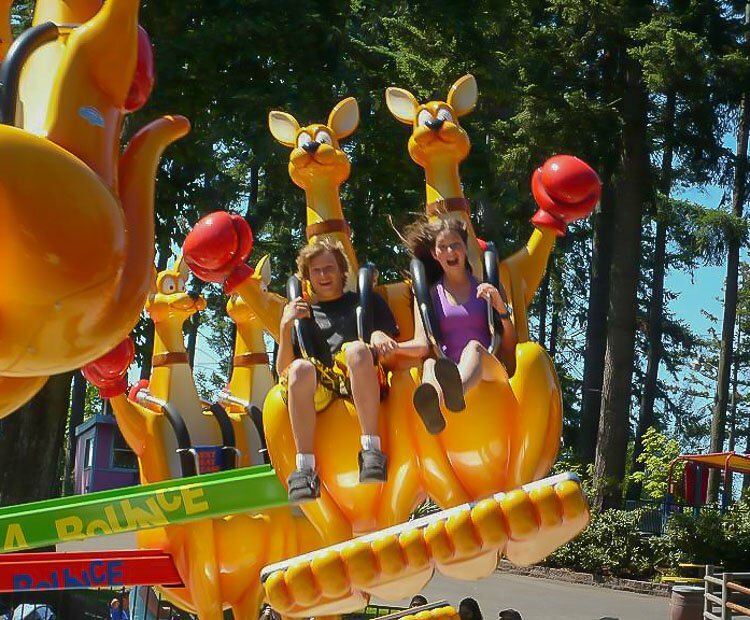 Treat your guests to a blast of family fun on the KANG’A’BOUNCE. 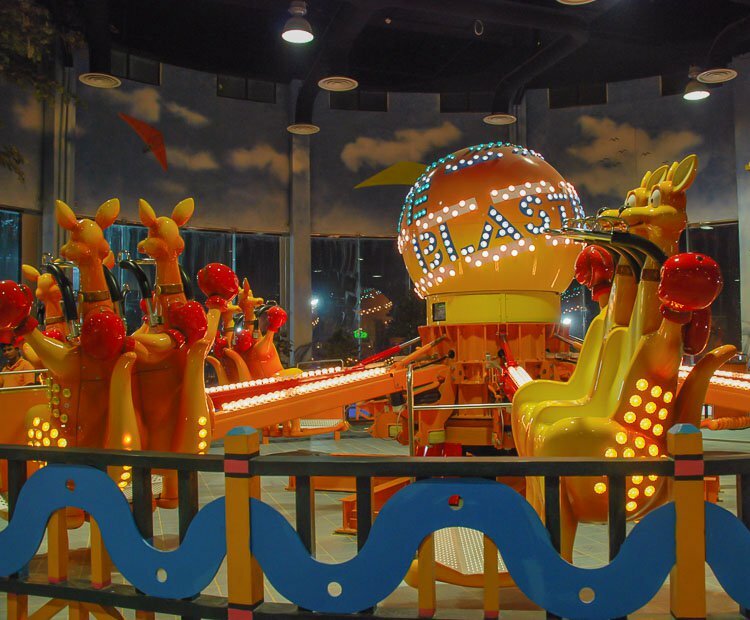 Do you need more information about Kang'A'Bounce?